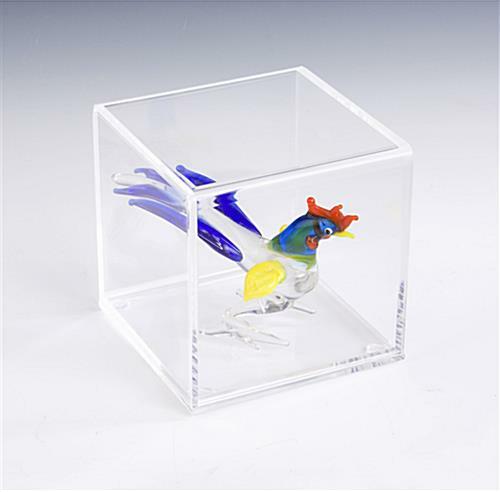 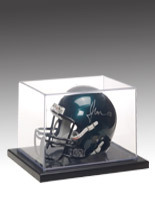 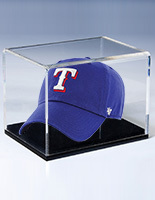 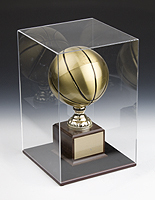 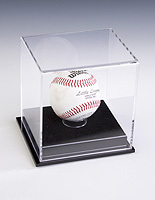 These acrylic cube display cases are ideal for accommodating baseballs and small figurines. 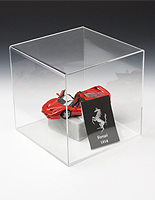 Each of these holders is made of clear plastic with a round riser for displaying round items. 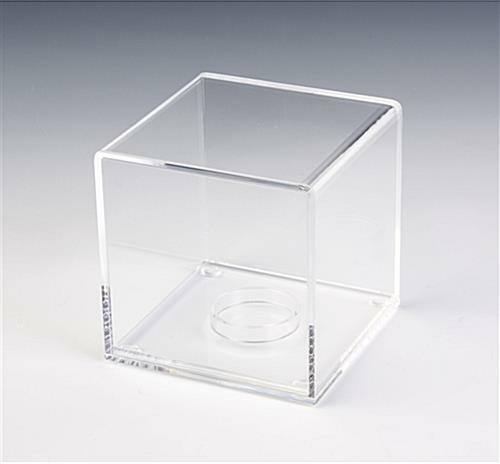 The cube display cases also have an easy-to-use lift top that makes it easy to insert or change curios. 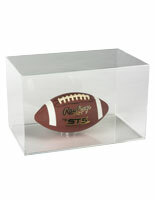 The clear fixtures with a circular riser are made of 0.125" thick plastic for extra durability. 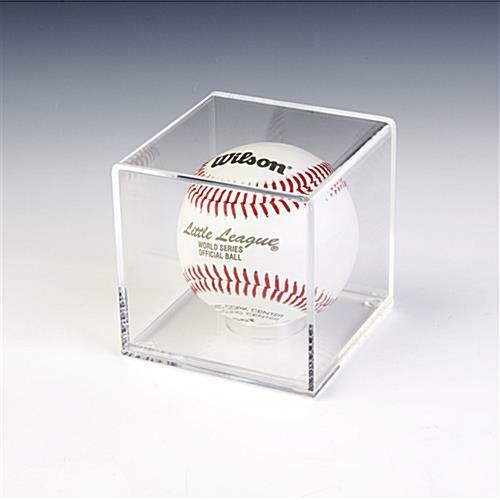 The display cases for baseballs measures 3.3"x3.3"x3.3" to fit artistic or memorable artifacts in homes, offices and even schools. 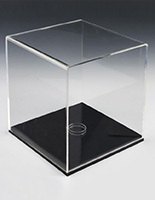 Fixtures with a lift top like these are also available with a 10"x10"x10" design.